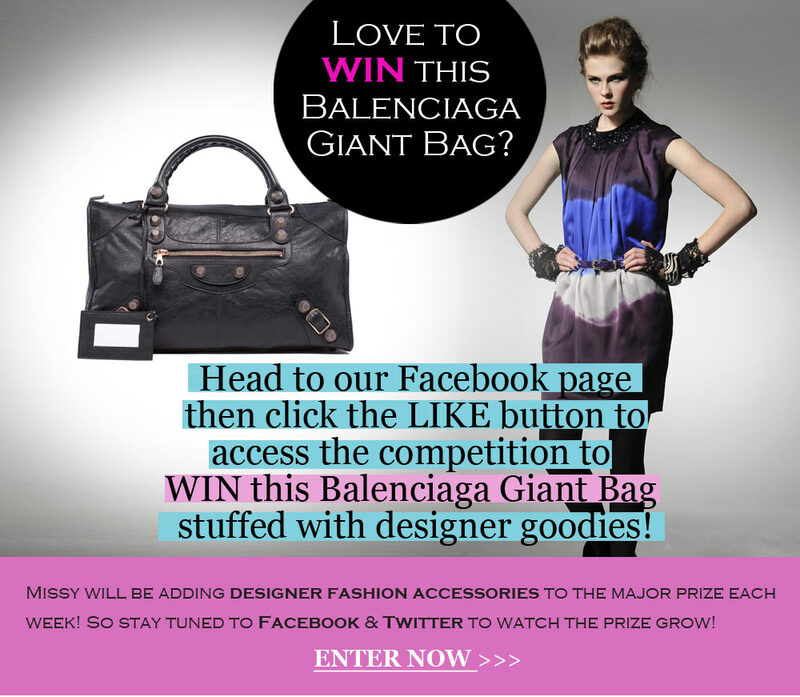 Win a Balenciaga Giant Bag stashed with designer goodies! This covetable "it" bag is up for grabs! Plus, each week we'll be adding makeup, shoes, jewellery, and more designer accessories to the bag, making it the most fantastic prize ever! To enter, visit our Facebook/MissyConfidential promotion here! Make sure you visit our Facebook page and email newsletter regularly to find out what we are adding to the prize weekly. Good luck!! !